Raise your hand if you feel like this year is flying by. OK, I’ve got both hands high in the air because I feel like every time I sneeze it’s a different month! It feels a little bit crazy if I’m being honest, but hey, we’re back in my favorite season (fall! ), so I guess it’s all good. Maybe with the darker days and longer nights I’ll find the time to slow down a bit … but I doubt it! 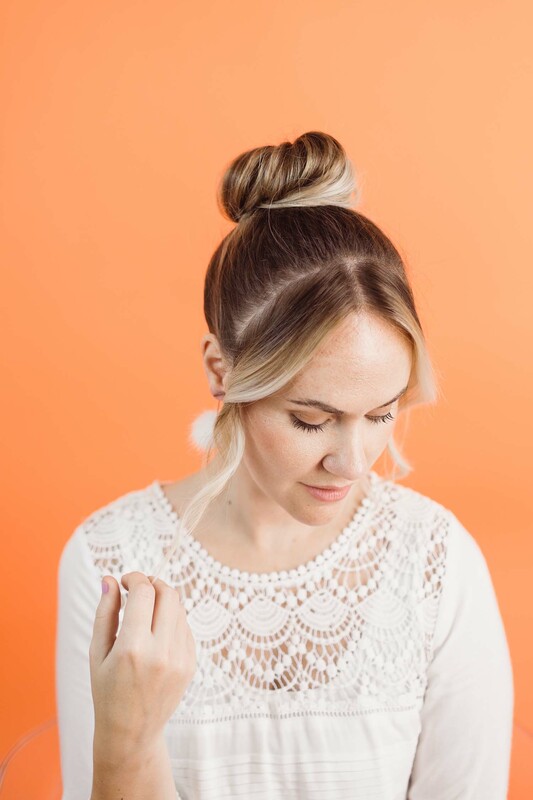 Still, even if you only have five minutes to get ready to run out the door or make yourself fancy for an evening get-together, this simple, elegant braid will look like a million bucks without slowing you down much. Less time getting ready, more time out there doing all that you have to do! Step one: Separate two chunks of hair on either side of your head and tie the rest back into a ponytail. Step two: Braid your ponytail in a simple three strand braid. 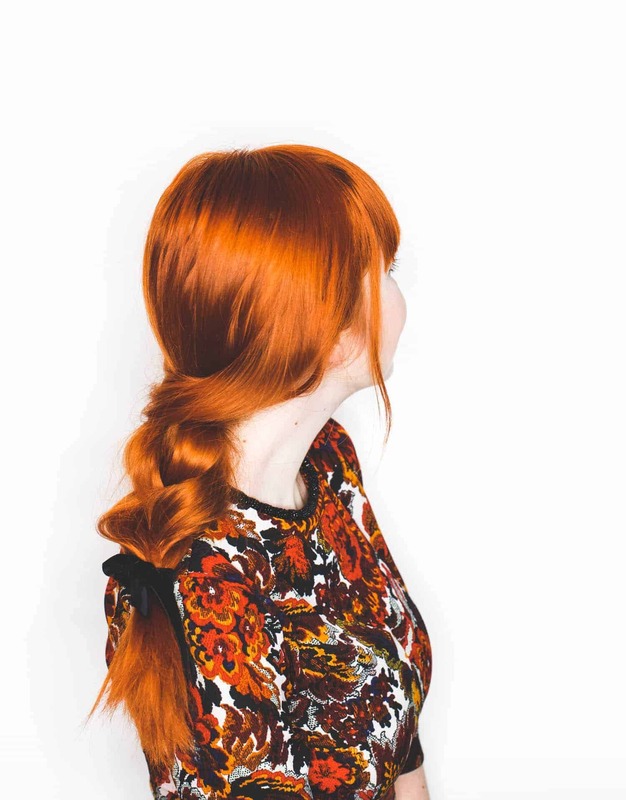 Only braid around halfway down your ponytail. Step three: Tie off your braid and loosen it up/pancake it for a fuller look. Step four: Take the chunk of hair from your left side and pull it loosely across the top of your braid and wrap it around the top ponytail holder. Step five: Take the right section and pull it across the top of your braid and loosely pin it. 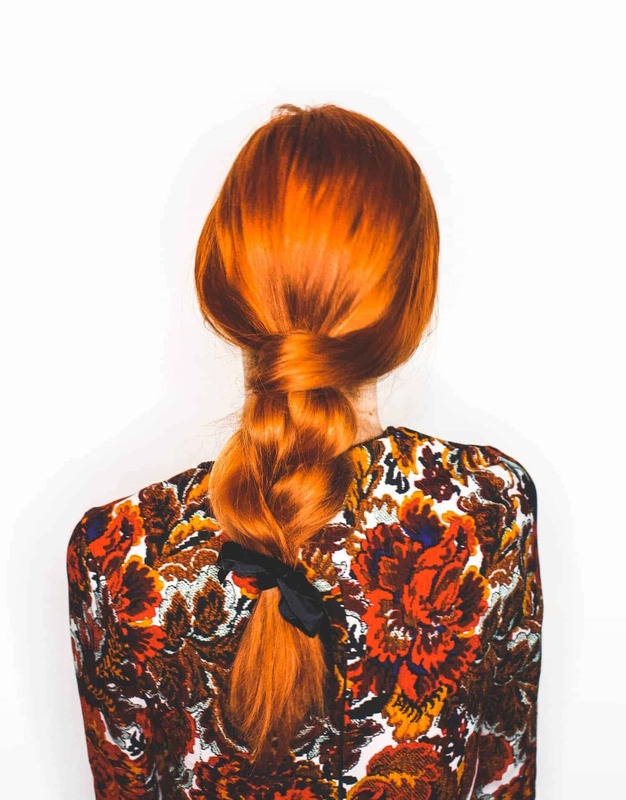 Step six: Pancake the braid a bit more for a messier, thicker look–you can always pancake your braid a wee bit more! Finishing it off with a little velvet ribbon or other accessory really gives it that finishing polish. 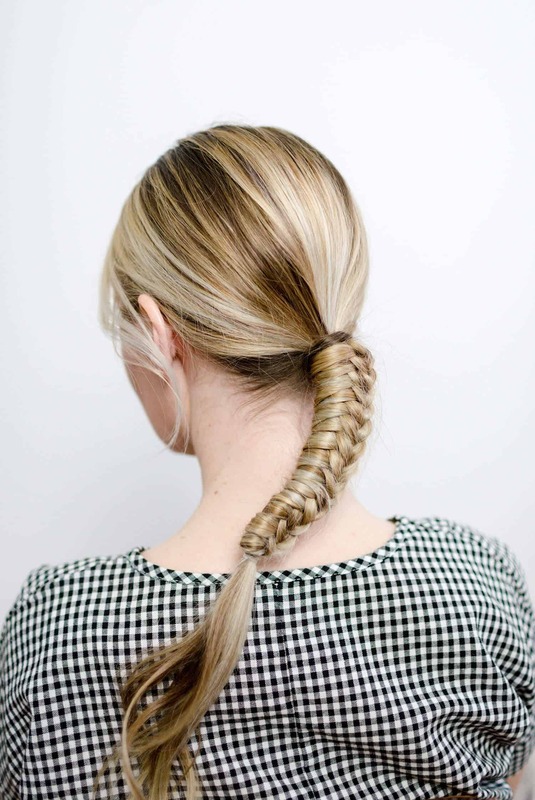 It’s a very simple style–if you can do a three strand braid, then you can master this style. But I think it looks so much more chic than your average braid. Fancy enough for an evening occasion, but simple enough you can rock it as an everyday style so you look much more calm, cool, and collected than you feel–if you’re anything like me anyways! Cheers, Rebecca. Credits//Author and Photography: Rebecca Stice. Photos edited with A Color Story Desktop. What a beautiful hairstyle, so classy! Could you show hairstyles for thinner hair on occasion? Rebecca has a ton of thick, gorgeous hair and for those of us who aren’t so blessed (and don’t want to use hair extensions every day) most of her hairstyles are unattainable. Totally agree! Rebecca’s hair is fabulous, but I’m willing to bet that most of us only have about 1/3 as much hair as she does and aren’t able to pull off such nice hairstyles. That is really beautiful! Looks easy enough for me too, haha. This is such a simple look. I love it. It is so easy to throw together but looks sophisticated and like you tried. LOL. I am all for simple, easy looks that make it look like you care. ha. Cannot wait to try this out.